We had turkey for Christmas and of course there were leftovers, so it’s time for the post-celebration ritual of making turkey stock in the slow cooker. 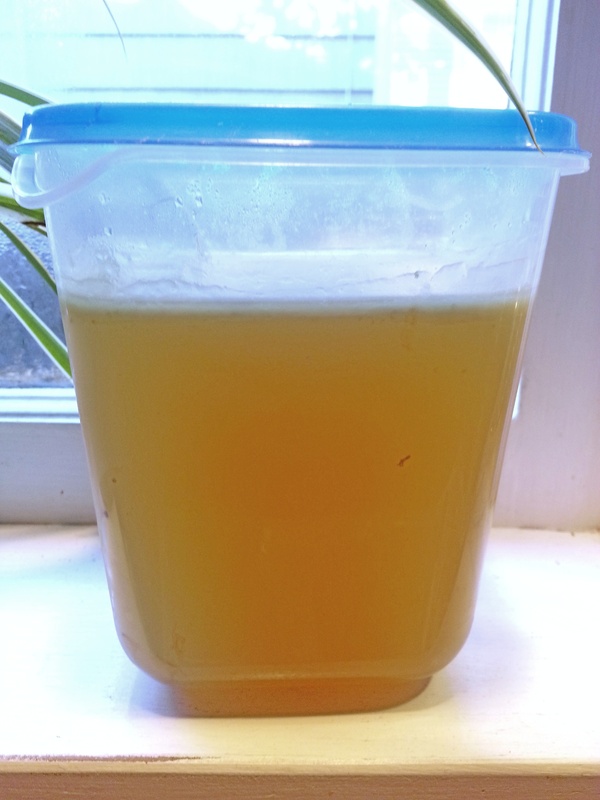 Stock is made by slow simmering of bones and a small amount of trimmings in water. It’s a great way to use parts that would otherwise go unused. 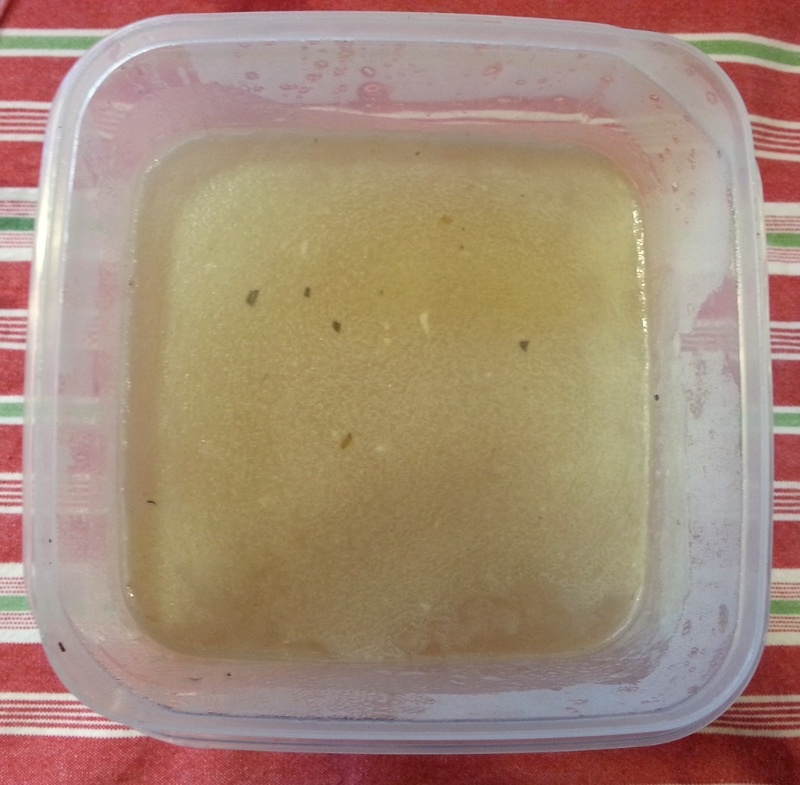 Stock tends to have more body than broth, which is made by simmering meat and/or vegetables in water. 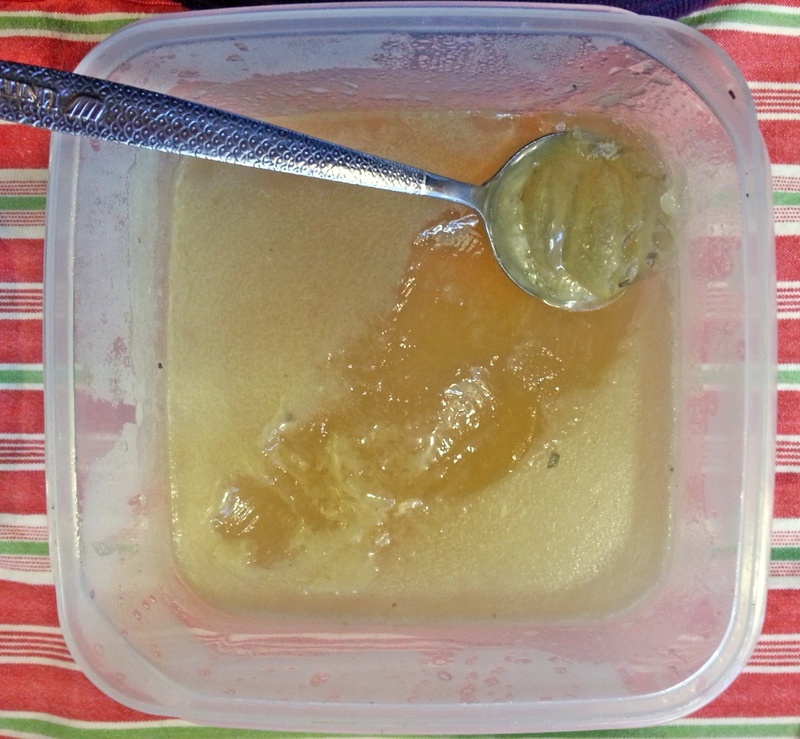 I add wine or cider vinegar when preparing stock because it helps break down the collagen and calcium in the bones. This results in a more nutritious, rich and flavorful broth. Because of this richness, I usually dilute it with at least one part water to one part stock when I cook with it. 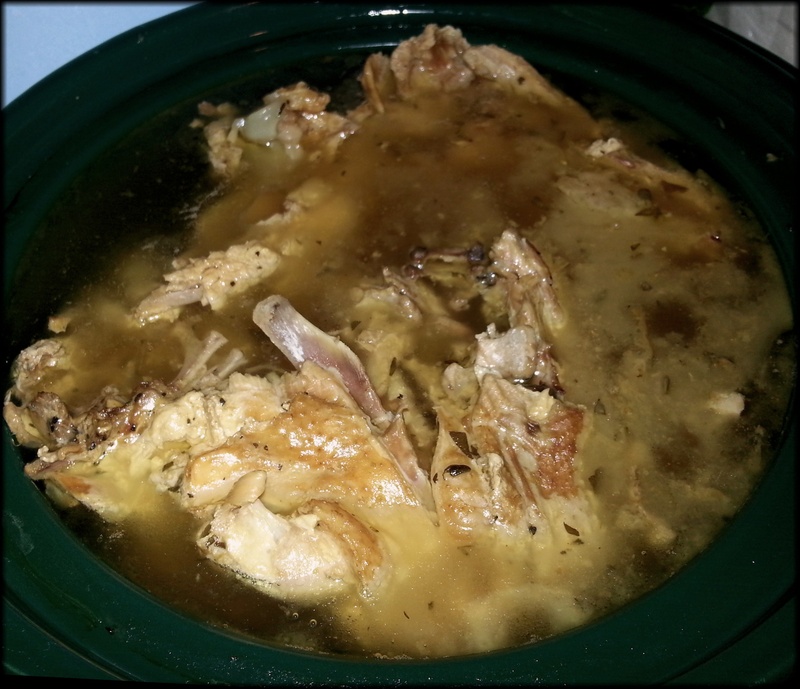 I prepared this batch of turkey in a 5- to 6-quart crock pot, and it made about 3 quarts of stock. 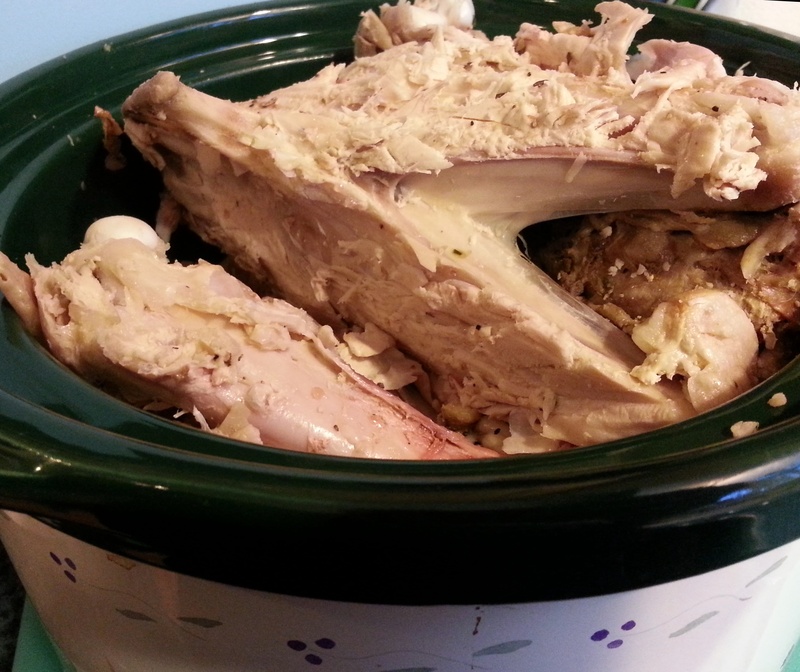 Put the bones of one turkey (and any meat stuck to them) in a large crock pot. Also add any tough bits of meat or gristle that you didn’t eat. Avoid adding a lot of skin, which can give the stock off-flavors. If you have them, add a cup or two of vegetable scraps (onion skins, carrot tops, celery or fennel leaves). You can also add a few herbs if you like, but it’s usually not necessary. Remember, any flavorings you used when roasting the turkey will carry over into the stock. Add ¼-½ cup white wine or cider vinegar. It’s okay if some of the turkey sticks out above the water. As it cooks, the turkey will soften. Once this happens, give it a stir to submerge the whole thing. Once the stock has been simmering for an hour or so, give the pot a stir to submerge any parts that are sticking out above the water. Keep it simmering for a total of 6-12 hours. 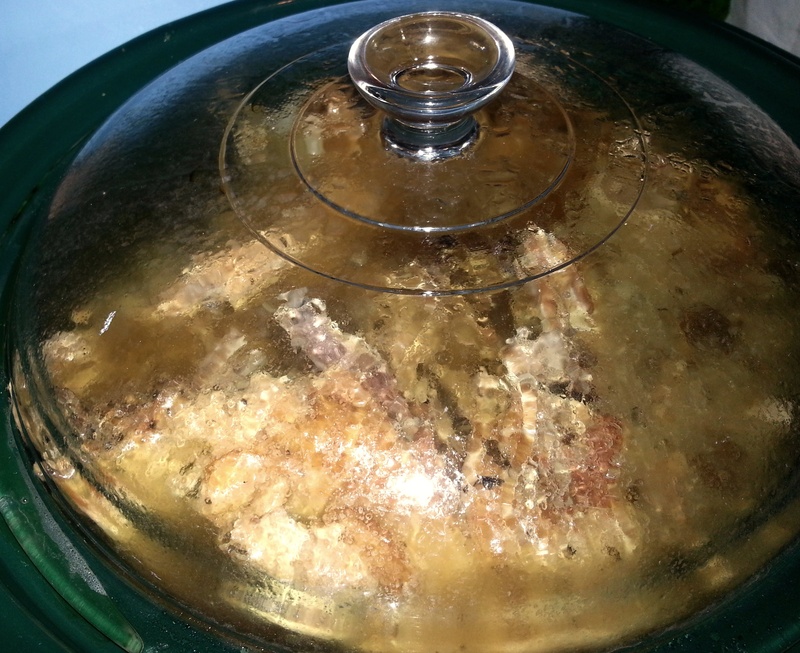 If it starts boiling vigorously, turn the crock pot down to low. Turn off the crock pot and strain the stock through a sieve. 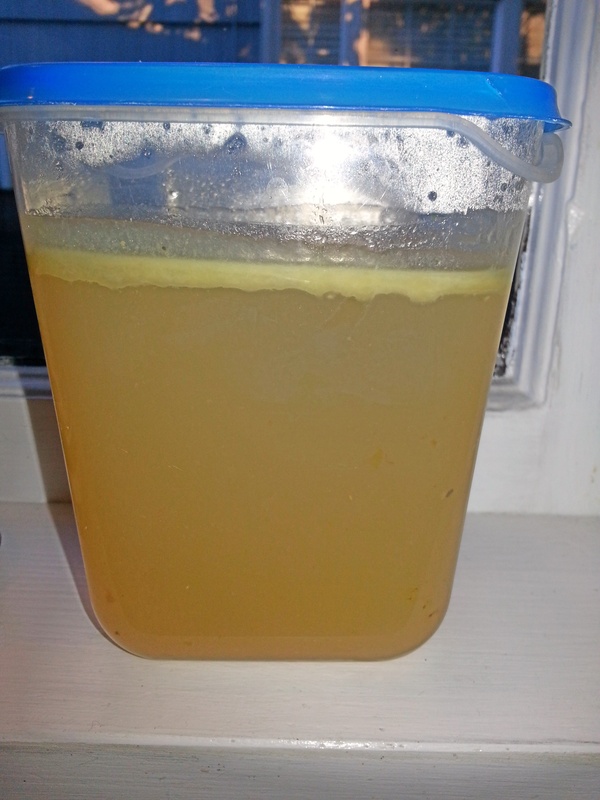 Refrigerate the stock for several hours or overnight. 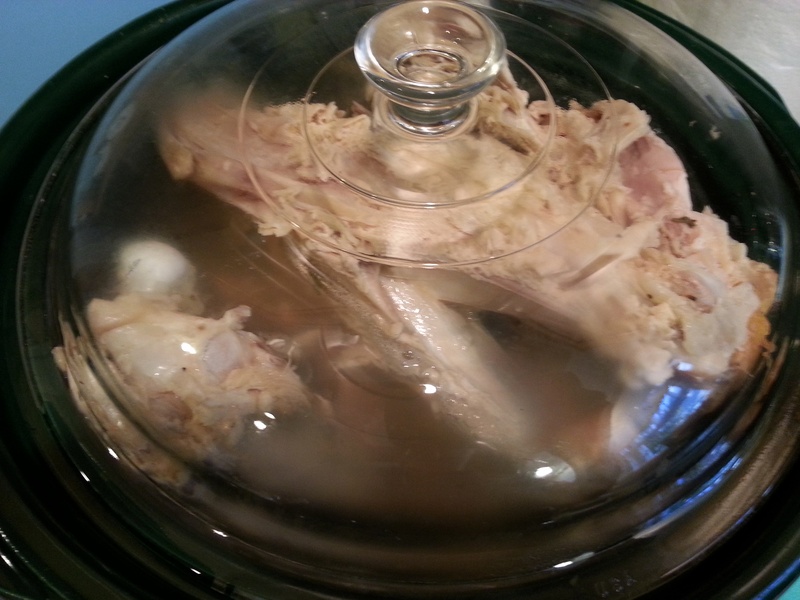 When chilled, the stock will be gelatinous and it will have a whitish layer at the top. The white layer is fat, and will be thicker the narrower your container is and the more skin and dark meat you put in when cooking your stock. Scrape the fat off with a spoon. You can save the fat if you like; I’ve used it for cooking collard greens, a traditional New Year’s food. You can refrigerate or freeze the stock for later use. I like to pour room-temperature stock into an ice cube tray, freeze it, and then transfer it to freezer storage bags. You’ll notice the recipe did not call for salt. Because the amount of stock you’ll use in recipes varies, it’s best to leave your stock salt-free, adding salt later when you cook with it.